From the trenches, emerge those who best grasp the details of any complex system. Our founder and president, Connie Belshe, RP, knows the “trenches” in the background screening industry, and is determined that everyone at Screenpointe be trained from top to bottom and side to side in the field. 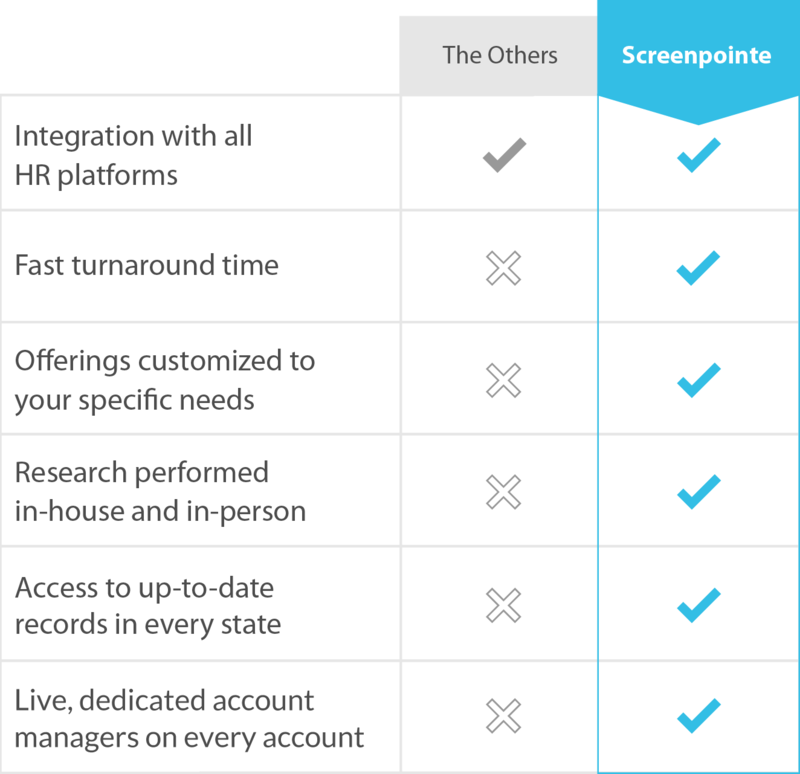 At Screenpointe, you won’t talk with narrow subject specialists. You will be introduced to a partner who both gets the big picture and understands the intricacies of this labyrinth of information sources we navigate. With this partnership commitment at the forefront, we have provided clients with comprehensive, accurate, timely information, at competitive pricing, for over eighteen years. Screenpointe’s staff comprises seasoned paralegals, investigators, court research specialists and human resource professionals, supported by our national network of “boots on the ground” court record researchers.